Among the three innovation vectors made available to the SKEMA community are the places. The KCenter has deployed on all three French campuses the places that are conducive to innovation. • BOOSTER zone that allows the project to be established. This area also responds to the presence of references in marketing and management. The opportunity for project organizer to validate the project. • CAPSULE area which is the launch phase of the project. We find in this area references in finance and law. The concept of La Fusée went far beyond the premises since it was associated with this very collaborative ambition concept involving all members of the SKEMA community in the creation of content. 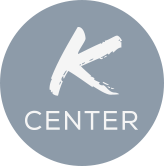 The KCenter in Paris emerged in October 2015. It is a reflection of corporate creations. The idea is to create places to immerse our listeners in environment close to those they find in business. This place is also an opportunity to get rid of conventional classroom models with flexible spaces that better respond to active learning, problem and project. The space was designed on the experience of La Fusée and with regard to what exists in business today. On the Sophia campus, the resources at the KCenter Library, cover all areas taught at SKEMA. The KCenter Library is located near the entrance of the campus. A second place, located in the heart of the campus, the Sophia Antipolis KCenter room is a space of creativity, sharing and learning dedicated to educational innovation. It is open to the entire SKEMA community: students, professors and business partners. Similar to Lille and Paris campuses , this area of 290 m², with a capacity of 100 people is equipped with a multi-site videoconferencing equipment and a Microsoft Surface Hub, collaborative screen equipped with cameras and microphones. Presentation of the specificities of the KCenter Rooms andKCenter's Rooms Requests.